With director Joe Carnahan’s (Narc, Smokin’ Aces, and The A-Team) awesome survival-action flick The Grey opening this weekend, I recently got the chance to talk with the cast. 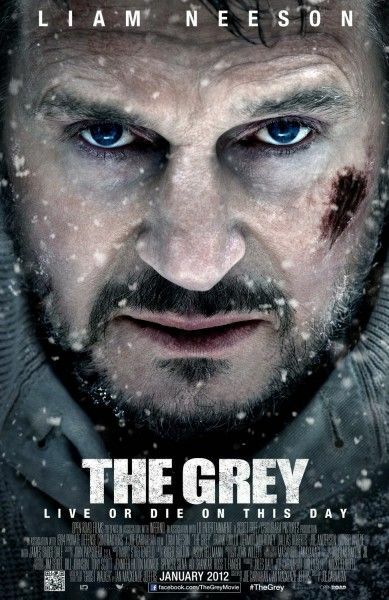 Starring Liam Neeson, Dallas Roberts, James Badge Dale, Dermot Mulroney, Frank Grillo, Nonso Anozie, and Joe Anderson, The Grey is about a group of oilmen who have crash landed in the hunting zone of a rogue pack of wolves in the Alaskan tundra. If you’re a fan of the cast, Carnahan, or just well made movies, The Grey will not disappoint. During my interview with Neeson we talked about the challenges of making the film, how he got involved in the project, how many takes he likes to do, and which movie more people want to talk about when the meet him: Love Actually, Batman Begins or Star Wars. In addition Neeson we talked about how filming on Taken 2 has been going, and if they feel any pressure after the first film was both a commercial and critical hit. Hit the jump to watch. Finally, for fans of Christopher Nolan‘s Batman movies, I wore the Bane viral Dark Knight Rises t-shirt to see if I could get a reaction out of Neeson. After all, you never know if he could be in a flashback.